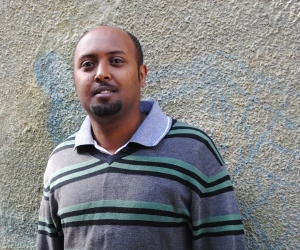 Fitsum graduated from Bahir Dar University with a degree in Chemical Engineering. He is currently in the process of finalizing his thesis for a MSC in Environmental Engineering. Fitsum has significant training and experience in the extraction of organic compounds from various medicinal and aromatic plants. He joined Gaia in July, 2014 as a process engineer to lead the installation and commissioning of a microdistillery to produce ethanol fuel for cooking. This 1,000 liter per day microdistillery is the first of its kind in Ethiopia.